Santa Clarita Custom Air sells and installs Carrier gas furnaces for residential and light commercial applications throughout the San Fernando Valley and Santa Clarita Valley. 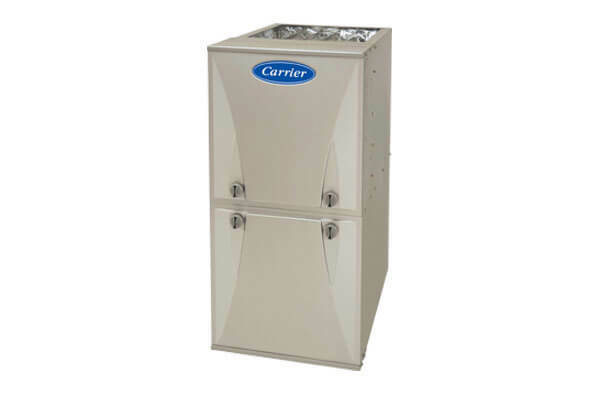 Carrier furnaces are available in three lines: the Comfort, Performance, and Infinity Series. Each line offers several furnace models and sizes in order to accommodate a wide range of heating needs and budgets. These furnaces are considered among the best on the market because they deliver reliable performance, superior energy efficiency, advanced technology, innovative features, and industry-leading warranties. Additionally, Carrier ensures that their furnaces are installed according to their exact specifications and high standards because they carefully screen and train their dealers. Call Santa Clarita Custom Air today to learn more about our Carrier furnace sales and installation services. We are a Carrier Dealer with nearly 30 years of experience and over 15,000 satisfied customers. We provide free on-site consultations for new furnace installations in the Santa Clarita and San Fernando Valley area. During a consultation, we will assess your property's layout, its windows, and ductwork; take notes of any hot or cold spots; discuss heating preferences and budget; and review financing options. The Infinity Series consists of Carrier's most technologically advanced and precise gas furnaces. They offer superior temperature control, maximum energy efficiency, and quiet performance. The Performance Series features powerful, quiet, and highly energy-efficient gas furnaces at budget-friendly prices. 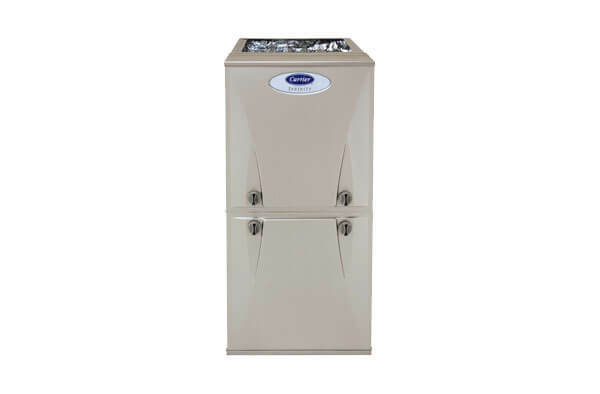 Included in this series is the Performance 96 furnace, which offers up to 96.7% AFUE and is ENERGY STAR qualified in select sizes. The Comfort Series consists of Carrier's entry-level gas furnaces. While more affordable than the Performance and Infinity Series, Comfort Series gas furnaces still offer impressive levels of energy efficiency.